Rest for quite some times, today saw Ken posted a Kobe drawing at Sports Art, make me feel like to draw something. 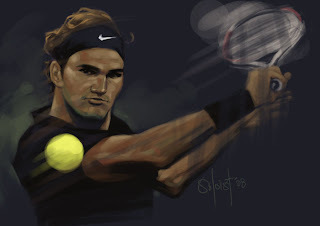 So here is what I've drawn - Roger Federer. Rather tiresome Roger.Atleast you make him lively! !